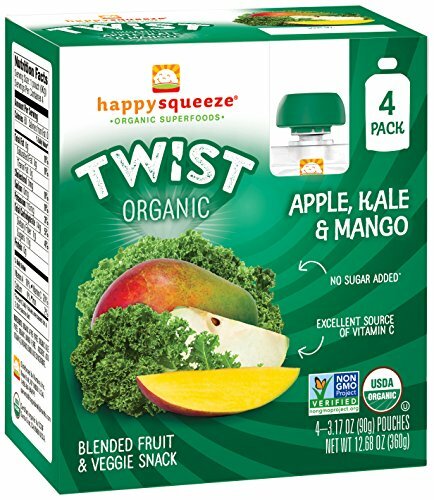 Put a yummy twist on healthy snacking with this flavorful blend of apple, kale, mango. So easy to take on-the-go, you can enjoy it anywhere, anytime.NEW TWIST ON HEALTHY SNACKING: A win-win for kids and parents, these Happy Squeeze 4-packs are a delicious pick-me-up and great source of antioxidant vitamin C-perfect for lunchboxes, play dates, road trips, dance practice and after-school activities. 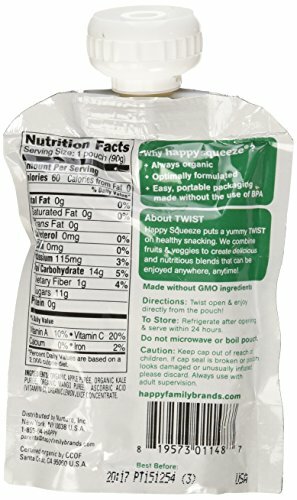 HAPPY KID: Our children’s foods and kids snacks are designed to provide your child with wholesome nourishment to support development. Our organic Happy Squeeze pouches and delicious fruit & oat bars will keep your active kid happy and playing. 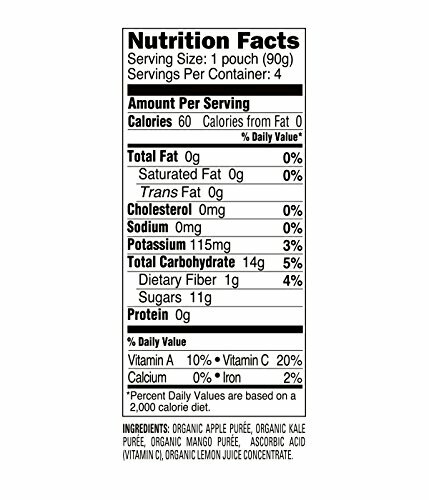 HAPPY TUMMIES: Try Happy Kid’s full line of snacks and purees for healthy kids if you’ve enjoyed snacks from Fruit Roll-Ups, Annies, Mott’s, Fruit by the Foot, Gushers, Veggie Straws, Peter Rabbit Organics, LaraBar, Brothers, Noka, Sprout or Bare Natural.